I've often wondered about a few business establishments around where I live. First, there's my bank. I've been with them two years. They never have any customers inside--never. I would think, at least occasionally, I'd have to wait in line or have somebody waiting behind me to do a teller transaction. Not so. This place never has any customers inside it. Then there's the local Chinese restaurant. They have customers. What I find odd there is there are never the same employees working there. Every time I've gone there, I don't recognize any of the employees. The bartenders, waiters, and brief glimpses of cooks are always unfamiliar. And last we come to the market. It's a small local market that people tend to use to buy a few items when they don't want to drive some distance to the local supermarket. I don't go in there very often. When I do, there's always this same old lady shopping in there. It doesn't matter what time of day or day of the week I go in there--there she is with her little basket buying whatever the hell she buys. All of these establishments, in their own way, seem to defy the basic laws of probability. I spend a lot of time wondering about things like this. "Just Another Indian Kid" was just released in Tales of the Talisman vol 10 no 4. It's about an Indian kid who unexpectedly encounters a Native American god--but it's not any god his people worship. This is the wrap up final edition of Tales of the Talisman. I've had stuff appear in quite a few issues of this magazine. Well, I tend to think of today as Decrepit Geezer Day. Why? Well, birthdays aren't as fun as they used to be. But I don't know that they ever were all that great. I used to lament the fact that during the school year they let kids who had birthdays wear some cheap paper crown around all day--but those of us with summer birthdays never got to experience such things. It really bothered me around the third grade or so. But not nearly as much as the stupid lame birthday parties I was given. I mean, I guess my mom meant well, but then she'd turn around and let some little sister of one of my friends come along. I really resented that. 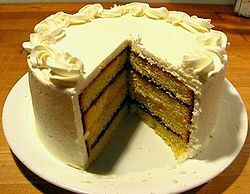 But, the cake would be some flavor I didn't like and I usually was relieved when the blasted birthday party was finally over. At some merciful point as I grew up I stopped getting birthday parties. I don't get presents anymore. I'll likely get a card or two in the mail later today, but that's it. Most of the cards I get have some dog doing something like driving a car or eating cake. And then, mercifully, midnight will arrive and I'll just be a little closer to being another senile old coot And that'll be that. At the condo where I live we have a recycling dumpster. I'm amazed the recycling company will pick it up. They ask for flattened cardboard--most of it is not. They have signs everywhere no plastic bags--there are zillions of plastic bags put in there. and there's even no recyclable wonders like used Kleenex--gross. I can't figure why, if people don't want to recycle properly, they don't simply use the regular garbage. But, until they have android cops standing guard who can kill any violator, I guess little will change. Then I asked a neighbor why you can't ever find used garbage trucks. She asked why I would want one. I said I thought it would be cool to have one. "They wouldn't want you to buy one and set up a competitor." I hadn't thought of that. Well, the space probe has flown by Pluto and is off heading for wherever. For such a small world it caused quite a stir. I don't recall that much interest in other recent space probes. 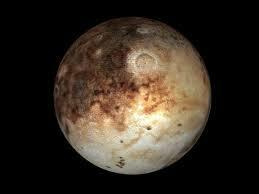 Of course Pluto's different, a small rocky world in a neighborhood run by the big gas giants. When I was around first grade or so I got a telescope for Christmas. It was defective. And the store didn't have any more. so I didn't really get a Christmas present that year. Then, around the eight grade we had a telescope making club. We met after school. Problem was the teacher insisted we grind our own telescope mirrors. I don't think anyone ever finished one. We all kind of dropped out claiming lack of money or other pressing duties with the Boy Scouts--anything to get out of that afternoon horror. It was a shame as mirrors could easily be purchased from a number of companies and we could have set about putting our telescopes together and searching the heavens trying to discover the next flaming comet heading in to destroy all mankind (it was junior high).. The years went by and I never made any such discoveries. About five years ago another large chain store had a bunch of telescopes on sale. I decided what the heck and bought one. I took it home and set it up and quickly discovered why they were so cheap. Damned Chinese telescope. I'm sorry, but everything made in that country turns out to be crap. I took it back to the store. And I still have never owned a telescope. Today I wanted to talk about Aaron B. Larson. Who? A South Dakotan (if that's the correct term) Aaron was one of those people who'd held every job around at one time or another. We were somewhat kindred spirits in some way as we were of similar age (though he had a few years on me). We both had worked in the hotel business more than we really wanted to. And we both were writers. I've edited a lot of projects and I still consider him to be one of the best writers I've ever read. 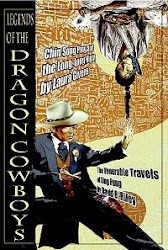 His writing more or less centered around the genre of the weird western–way before they were even considered a genre. That's how I knew him. He was one of the first people to submit to my fledgling Trails magazine. Trails: Intriguing Stories of the Old West later became Science Fiction Trails. Over the years we became friends. We got together infrequently, but it didn't matter. We'd both turn up in LA or somewhere at some science fiction con and take up where we last left off. Aaron loved science fiction and knew everything about nearly every science fiction story ever made. Mention a story or mention a movie and he knew about it–no matter how obscure. He was a devoted fan of August Derleth. 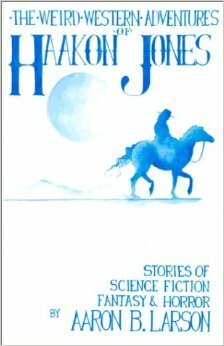 And a formidable writer, although he never found much commercial success as an author, I urge people to try and get their hands on a copy of his collection The Weird Western Adventures of Haakon Jones. It's been out of print for a long time, but libraries and used bookstores do sometimes have a copy lying around. His hero, Haakon Jones and sometimes in the company of his sidekick Native American Small Jumper traveled the west and had some amazing adventures. Vampires, witches, Bigfoot–you name it and they encountered it. His individual stories appeared in various places. "The Door in the Desert" and "Belfry's in your Bats"[my favorite] were in my magazine, Trails: Intriguing Stories of the Old West. He was a very frequent contributor to Classic Pulp Fiction Stories. In 1999 he bundled up these wonderful stories into a book. I still have my autographed copy. My name appears on the acknowledgments page. He really was a fascinating individual to simply hang out with. Aaron also had an interest in theater–more I think with the technical aspects like directing than wanting to be an actor.. He would have likely had more luck going to the bright lights of Broadway, but he couldn't quite pull himself from his beloved South Dakota. Sadly, over the past few years he kind of gave up on writing. I don't really know why. And I had not seen him in quite some time. I just learned he has passed away. Tonight I'm going to have a beer or two in his honor and maybe re-read some of his wonderful stories. That may be kind of weird, as I don't even know if Aaron drank. I don't recall ever seeing him consume an alcoholic beverage. Well, the Putonians didn't shoot down the New Horizons spacecraft. That would've really been something. Someone I work with asked me how I come up with such strange ideas. Well, I guess it's because I'm an eccentric kook. Although rockets or laser beams coming up from Pluto would've been amazing, it's still been a pretty good week for me. 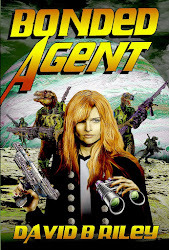 I sold a short story to an anthology and I sold a science fiction novel as well. Details on both of these will come out a little later as we get closer to publication. Everyone who's a space buff is anxious to witness the Pluto flyby of the New Horizons spacecraft. As I write this it's just hours away. As I've written before, the Martians have about a 50% track record of shooting down probes from Earth. I wonder if the Plutonians will manage to attack the probe. This is their first probe from Earth, where the Martians have a lot more practice. Way back when I first started publishing stuff the fist few copies were of Trails and were actually side stapled and made at Kinkos. My how times have changed. And the covers were clip art. Trails gave way to Science Fiction Trails. Issue 2 of Science Fiction Trails was the first time I used a professional artist And I was dismayed that sales didn't really pick up even with the more professional; look. They did eventually, but it sure took a while. I don't know what reaction folks would have if the new issue of Story Emporium had come out as a side stapled magazine with a clip art cover. Frankly, I kind of like clip art. The biggest problem with clip art is most of it is very low resolution. What worked for a copy machine sure doesn't work in the era of digital art. There's more high resolution stuff on the market, but an awful lot of it is garbage. Since I sell more copies as ebooks than print these days, I think a clip art cover photocopied magazine would not fare too well in the current climate. More importantly, it wouldn't have dinosaurs on the cover. I've found that what few clip art pictures of dinosaurs exist are really lame. The dinosaurs on the new cover are really cool. When we were planning the new magazine I wanted dinosaurs on the cover and went to Wayne Miller and asked for dinosaurs. And it turns out Wayne loves drawing dinosaurs, so I got dinosaurs. And that's how covers come into being. Issue 1 of Story Emporium: Purveyors of Steampunk & Weird Western Adventure is now available . The printed edition is available from Createspace and Amazon. The ebook is available on Kindle through Amazon. In the coming weeks it will be available through other distributors as well. My last few days have been spent putting the finishing touches on the new issue of Story Emporium. I hope people like it. 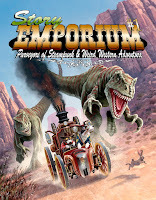 We did two issues of Steampunk Trails which did not sell all that well. After putting out Science Fiction Trails for a decade, my inkling was to go back to that model. But that magazine had problems as well--namely we could never get submissions as the focus was so narrow and specialized. Hence, we came up with an entirely new fiction magazine. Story Emporium will seem quite familiar in the sense a lot of the Science Fiction Trails alumni return, like Sam Knight, Lyn McConchie, Henry Ram and Joel Jenkins. But there's a much broader range of stories than simply western sci fi. Time will tell if people like it, but it's got dinosaurs on the cover. How can you not like a magazine with dinosaurs on the cover? It debuts this coming weekend. 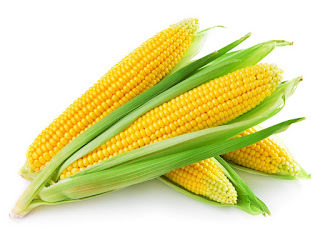 I really like corn. I bought some yesterday at the store. It was on sale. What I can't figure out is why so many people shuck it in the store. They have a special trash can for it and there's always somebody standing there shucking away. Corn keeps better if your leave it with the husk on until you're ready to cook it. It really does. These people shucking at the store or buying it already trimmed and peeled are idiots. That's all I can say. And don't boil it. Bake it, roast it or microwave it but don't boil it. By the way, if you butter an ear of corn a lot of dogs like it. Most of them will eat the kernels but some dogs don't get it and try to eat the cob. They say the novella is making a comeback--whoever "they" are. I wrote one. I just finished it. There really aren't many markets for something that runs around 14,000 words. When my brother and I were growing up, our family often spent the 4th of July at our grandmother's house in Arkansas. They didn't care about fireworks and you could set them off all day long. The only restriction we had was how much we could afford to purchase. 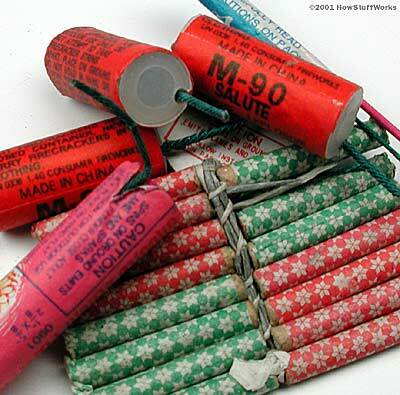 We soon learned firecrackers and bottle rockets were fairly cheap while roman candles and skyrockets were not. And we could set firecrackers off all day--not to mention blow up the occasional ant hill. I've now lived in a state where fireworks are not widely allowed for over a decade. Most counties ban them. I kind of miss the little explosions, Even at my decrepit age I wish I could fire off a few bottle rockets. But that's progress. I just can't get as excited about the commercial displays. They're just not as much fun. Since I'm working tonight, I don't have any real plans to do anything fireworks related or otherwise. Someday, maybe even next year, one thing on my bucket list is to go someplace where you can set off fireworks and get a whole mess of them and blast away. But this year's pretty much a dud. Around these parts we have farmers markets on every street corner--at least it seems that way. And they sell produce from the very same companies that the local supermarket has for twice as much money. Yep, the trays and crates behind the tents are same exact brands you can buy from at the store. Most of the food bought in this country comes through distributors of one sort or another. Now there are some baked goods and stuff at these things that may have some aspect that can't get at the local store. But this is not the local farmer selling his wares as in days of old. I remember growing up and going to my grandmother's house in Arkansas. She lived in a largely rural and farming area. There were little booths along the side of the road and you could get amazingly fresh locally grown items. But those days seem largely gone. And what's being passed off as farmers markets really is anything but. This food is coming from the same wholesalers as everyone else's food. It's not what they want people to believe.